The mailbox rule — a complicated law that says dropping something in the mail means it is deemed delivered, has plagued legal scholars and lawmakers for decades. The rule has been applied to real estate transactions, insurance contracts, and even to IRS papers. This rule can cause problems for landlords, too, especially when it comes to eviction notices. The obvious problem with the mailbox rule is that the other party does not yet know that the communication is on its way. Also, because first class post is not traceable, senders tend to use certified or registered mail in order to produce a receipt. This adds significant delay. So, when does the clock start ticking on legal notice periods, like evictions, when notice is provided by mail? Service of notices by mail are particularly troublesome for landlords because eviction judges are so strict in adhering to the statutory notice periods which allow tenants time to prepare a defense. Those notice periods are required under due process provisions of the law. A landlord who is off by only a day may see the case dismissed and be forced to repeat the entire process, while a deadbeat tenant remains in the rental property. Even if the eviction is ordered, it may be subject to appeal if the notice was defective. Such was the case in Iowa, before the state’s Supreme Court threw out a law providing that eviction notices could be sent via certified mail, and that the notice period began to run when the letter was sent. In that case, the tenant challenged her eviction because the notice of the eviction hearing was mailed certified. She claimed that she received a notice from the post office regarding the certified letter, and picked it up the next day — one day after the hearing took place. The tenant asked a lower court to overturn the eviction which it entered by default due to her absence at the hearing. That court refused, because the eviction statute allowed notice by mail, and the mailbox rule dictates that mail is a reliable way to communicate. The tenant appealed the lower court’s ruling. Once the case made its way before the state’s Supreme Court, the justices found the state’s law allowing notice via certified mail to be flawed. Because the notice period would run while the mail was in transit, and because the certified mail process tends to slow the journey to the recipient, the court found that the tenant’s constitutional rights had been violated and that the law was a mere “illusion” of fairness. The alternative to mail — personal service, is expensive. Many landlords become frustrated with tenants who try to duck service of process, which can drive up the cost. As a result, many state eviction statutes provide that an eviction notice can be delivered by posting it on the front door of the property, in addition to other methods like mailing. Many eviction statute attempt to clarify the mailing rule. For example, according to the Oregon Bar, landlords there must mail notices via first class mail, not certified or registered mail, and when mailing notices, are required to tack on three days for the tenant to respond. 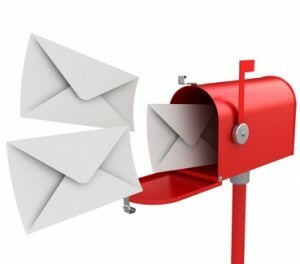 Short-term notices are considered served where they are both mailed, and personally served. While the lease agreement can set out acceptable ways for the landlord and tenant to communicate with one another, it is crucial for a landlord seeking an eviction to follow local law when sending legal notices — the lease cannot override these requirements. If first class mail is an option, it may be a good idea to have the person who sends the mail sign a contemporaneous certificate of mailing indicating when and how the mail was dropped. Despite the mailbox rule, the fact remains that mail can be unreliable. This is not just due to delivery problems, but also because a tenant may not recognize the sender, or may be in denial and not want to open it. What the Iowa case highlights is that an eviction judge will want to be reasonably certain that the tenant received notice. If the landlord makes that step easy to determine — by proving that the tenant had every opportunity to prepare and defend the eviction, the landlord is far more likely to success the first time around. It is in the landlord’s financial interests to make certain the tenant has notice, by whatever method is most likely to succeed. Using several different alternative means of serving notice only serves to bolster the landlord’s argument that they are entitled to an eviction. Personal service or hand-delivery along with mailing may seem like wasted expense, but not compared to the cost of starting over while a tenant holds up a property without paying rent. I found something that I agree and disagree at the same time. It is the mention of a “deadbeat tenant” yes, my different neighbors in the period of four years and a half pretty much, all have been that and more. In my case I pay rent and any other bills in advance, I am a well-respected person in town because I always try to do what is right. Here is my disagreement, what about the Slumlords? In the writing, there’s nothing about it. In my case year after year, the landlord promised to fix, and repair, and then walked away from it like nothing is wrong and nothing was told to him/her, to the point that their conduct becomes so wretched that crosses all lines of decency. In my experience, because of a slumlord, most of their tenants will always be a deadbeat and some of us pay for both parties, from neighbors that are the worst and greedy landlords that somehow encourage these situations, and from my point of view, this “writer” is a landlord and not a good one, or at the very least thinks that all the people should be judged on the same standard of conduct.